Assassin’s Creed 4: Black Flag is among the most compute-intensive games released recently and will tax even some of the most muscled upscale gaming laptops in the market. Categorized as a Historical fiction action-adventure and stealth RPG game, it is the latest installment from a franchise developed by Ubisoft Montreal for single player versions and by Ubisoft Annecy for multiplayer versions. A hand-held version was developed by Gameloft. Since the first Assassin’s Creed game title was released for the Windows, Xbox 360 and PS3 platforms in 2007, the franchise has been a commercial success with more 55 million copies sold as of March 2013. Just as a background, the series is based on the novel Alamut by Slovenian writer Vladimir Bartol. In addition to PS3, Xbox 360, PC Windows and Mac OS X platforms, several mobile versions of the game can be played on the PS Vita, Nintendo DS, Android and Nokia Symbian smartphones, and the Wii U. Released for the PC/laptop this November 2013, Assassin\s Creed IV: Black Flag will have future downloadable content (DLC) meant to expand the gameplay horizon, the latest of which has been released last December 17 – Freedom Cry, for the MS Windows, PS3/4, Xbox 360 and Xbox One. Hardware and OS determines if a PC game not only can play a compute-intensive game but play it well, with none of the hiccups that could ruin an otherwise rewarding gaming pleasure. It is always best not to tax the central and graphics processor and something around the 60%-70% utilization is best in order to maintain optimum gaming performance. It is not uncommon that you could experience glitches once the hardware is taxed performing at 90% or maximum CPU/GPU utilization and full video RAM consumption. 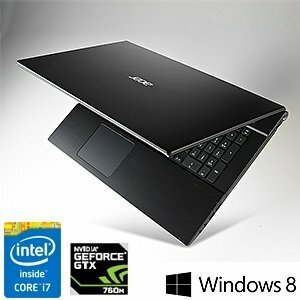 And because we believe that gaming on a laptop is supposed to entertain, thrill and delight as long as the power it provides lasts, we stick only to a recommended hardware setup that we have seen deliver a rewarding gaming experience, not interminable frustrations later as you move up to more complex gaming levels. Table 1 shows the minimum recommended hardware and OS specs to run the Assassins Creed 4: Black Flag game. If you want to compare this with what you see in other gaming websites, you would see some significant difference. We won’t recommend a bare minimum. While the CPU specs can get the job done in many of these sites, they are often 1-2 generations old. We certainly won’t recommend Windows XP or even Vista to play the game. There are no laptops in market today that come bundled with these operating systems. And even among 12 month old laptops, you’d be lucky to find one still using the older generation Intel Core 2 Duo and AMD chips. 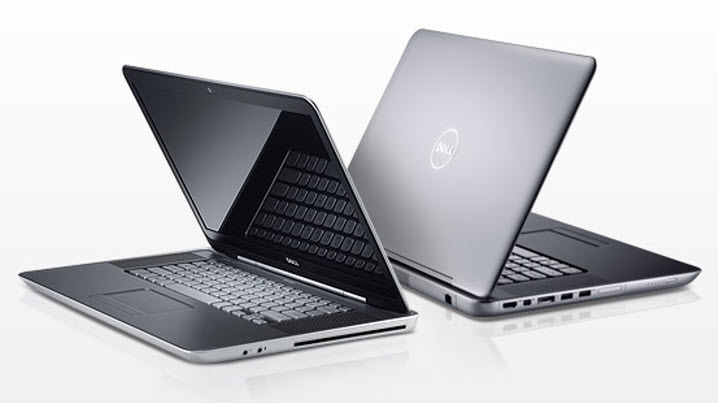 We prefer to be more realistic and updated by recommending only the laptops you can find today as the year 2013 nears its end. Our recommended hardware specs to play the game are presented in Table 1. It is not the lowest hardware specs that can run the game, but we prefer to err on the side of plenty and recommend only the laptops that offer a more reliable gaming experience with CPU/GPU and RAM headroom to spare. The last thing we want is for you to buy the lowest and cheapest gaming laptop for the game you want, only to realize it could be gasping for breath in the middle of game as its memory and gaming muscle get fully utilized with no headroom to spare. Full HD at 1920 x 1080 resolution is best appreciated on your 42-inch Plasma or LCD HDTV and if you like to play Assassin’s Creed IV on such a screen real estate, we’d recommend you get the Xbox 360 or PS3 versions. In addition, if you like to multitask working on 2 or more application windows open concurrently, full HD is highly recommended on your PC or laptop. But we would be less than honest if this is something you need with highly demanding games while trying to conserve on your computing resources to give it the necessary muscle. Most gamers even at the professional level know how much resources are wasted when gaming at the highest possible resolution and would gladly settle for even the lowest resolution provided they see the details necessary to make a score and win the game against their opponents. In short, gaming Laptops with the lowest HD resolution is definitely more than enough for even the most gorgeously designed RPG or FPS games recently released. 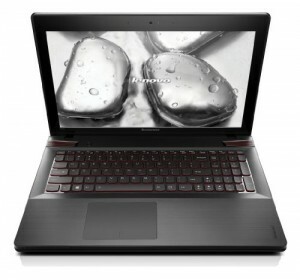 This is where the graphics card defines whether the laptop using it can play the game or not. Low game settings can look blocky and pixelated but they won’t tax your graphics engine. The highest game setting maximizes the gorgeous look and textures of most games so that they approach a level of realism that can easily be mistaken to come straight from movies. But they require some really powerful graphics engine. No matter how powerful your CPU is, if the GPU is not up to the task, most demanding games won’t be able to render the screens and be quick in responding to real-time changes as you move about and make a score. With laptops manufactured over the last 2 years, it is safe to say that even the low end 3rd generation processors from Intel and AMD have no problem handling even the most sophisticated RPG and FSP games. And with online gaming, a good part of the processing is done on powerful remote game servers. The more important hardware feature in gaming laptops is the graphics engine. They are the ones rendering the compute-intensive vector graphics on the screen. Needless to say, the more powerful your GPU is, the faster the screens are rendered with faster responsiveness needed for you score in your game. Our tests results on which GPU can play the game are summarized in Table 2. Assassin’s Creed 4: Black Flag is one of the most demanding games that taxes even Class 1 category graphics engine. Our minimum Class 3 Category graphics engine which is the Intel HD Graphics 4000 can’t do the job properly even at the lowest game setting on default HD resolution at 1600 x 900 and will stutter even at the low 1366 x 768 HD resolution. Just slightly above the $1000 price point, this Lenovo Ideapad Y510P takes a $20 discount from its $1,099 MSRP and gamers may just take notice, especially when its 15.6-inch Widescreen LED-back lit widescreen with a full HD resolution of 1920 x 1080 is driven by not just one Class 2 NVidia GeForce GT 750M graphics engine, but two in SLI dual card configuration, putting the tandem in the midrange Class 1 category. One card is enough to play Assassin’s Creed IV: Black Flag at medium game setting using the default HD resolution, and you might be able to go higher with a reduced resolution. Now two heads are better than one and this powerful laptop can certainly play all the demanding game titles at high to ultra-high game settings. Even Company of Heroes 2 will play at medium settings and high at lower resolution. The laptop is powered by a 4th generation quad core Intel i7-4700MQ clocked at 2,4GHz and supported by 8GB DDR3 system RAM. Data storage is a generous 1TB running at 5400 rpm. It comes with dual UltraBay so you can swap the 2nd GPU with a DVD or Blu-ray optical drive or SSD. It has a 720p Webcam, two USB 2 and one USB3 ports, an HDMI out and stereo JBL speakers driven by a Dolby Home Theater v4. All these are housed in a 1.4-inch thick body weight just 6.4 lbs (without the optical drive). It is preloaded with the Windows 8 OS. 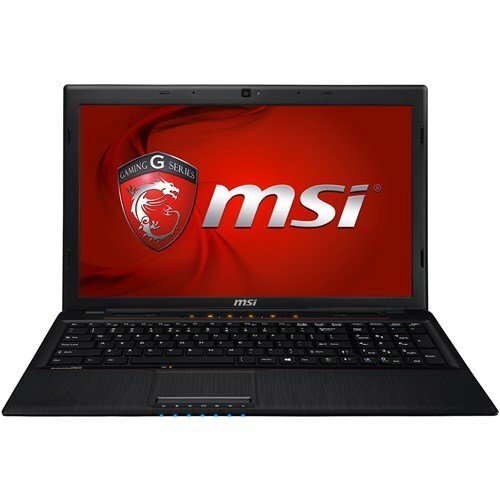 Close to the sub-$1000 price point at $949, this MSI is among the mid-range gaming laptops powered by a 4th generation dual core Haswell-architected Intel i7-4700MQ with 6MB Cache, clocked at 3.2GHz and supported by an 8GB S)-DIMM system RAM. Its 15.6-inch LED backlit widescreen display features a full HD resolution of 1920 x 1080 driven by a Class 2-category graphics engine, the NVidia GeForce GT 740M with a dedicated 2GB DGGR3 video RAM. It won’t play Company of Heroes 2 with the seamless execution it deserves but it plays all the other recently released compute-intensive games at medium to high game setting in the default resolution. A few titles like Assassin’s Creed IV: Black Flag can be played only at the low to medium game setting or you could squeeze a high setting at a lower screen resolution. Data storage is both generous and fast using a 750GB SATA drive running at 7200 rpm. It comes with a SuperMulti DVD optical drive. an HD webcam, and the usual wired (two USB 3 and two USB3, HDMI) and wireless data connectivity ports – all housed in a 1.27-inch thick body weighing a comfortable 5.3 lbs. A 32-bit Windows 7 Home Premium OS is preloaded with the hardware. 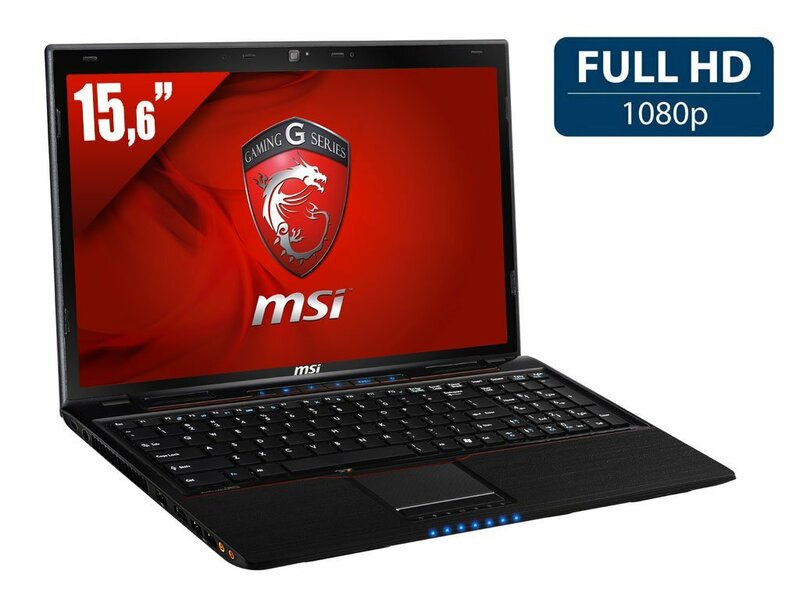 Discounted to $899.99 from its $1,399 list price, this MSI GE60 specimen offers a muscled gaming experience that is rare for a sub-$1000 laptop, thanks to the generous discount it now has for the holiday season. Powered by a high end 3rd generation quad core Intel i7-3630QM clocked at 2.4GHz with 8GB DDR3 system RAM, it sports a high HD resolution (1920 x 1080) on its 15.6-inch LED backlit widescreen display driven by a Class 2 graphics engine, the NVidia GeForce GT 660M with a dedicated 2GB video RAM. Not only will Assassins Creed IV: Black Flag play seamless at medium game setting (possibly up to High at 26fps at a lower HD resolution), a Class 2 GPU can play just about all the resource-intensive game titles recently released in medium game setting even at its highest HD resolution. The ads boast of a keyboard ergonomically designed for offering faster and longer-lasting keyboard action, after all, MSI is a gaming laptop brand. It comes with a 750GB SATA drive running at a fast 6200 rpm, a SuperMulti DVD optical drive, a 2mpx Webcam, and WiFi 802.11b/g/n, a couple of USB 3 and USB 2 ports, VGA and HDMI. All these features are housed in a slim 1-inch thick body weighing 7lbs. Thanks to the holiday season, we are lucky to find a year old Dell XPS 15 discounted to $799.00 from a list price of $1,199.00. Powered by a 3rd Generation Intel Core i5-3230M processor (3M Cache, up to 3.2 GHz) with 6GB Dual Channel DDR3 system RAM on 2 SO DIMM sockets, this laptop features a 15.6-inch LED backlit widescreen that sports a full HD resolution of 1920 x 1080 and driven by a top-end Class3 Category NVidia GeForce GT 635M with its dedicated1GB GDDR5 video RAM. This can play several sophisticated game titles recently released mostly at medium game setting on the default resolution, and may even go higher at lower HD settings. It is among the few laptops using a graphics engine we consider the minimum for a satisfying gaming experience with Assassin’s Creed 4: Black Flag it can play the game smoothly at low to medium game setting in full HD. Data storage is supported by a 500GB SATA drive running at 7200 rpm complemented by a 32GB mSATA Solid State Drive, must for many gamers who want to load new game levels and textures fast. There’s an 8x slot load optical drive (Dual Layer DVD writer) Bluetooth 4.0 and comes bundled with the 64-bit Windows 7 Home Premium Service Pack 1.